Lilly Klaus heads down the side of the reservoir. 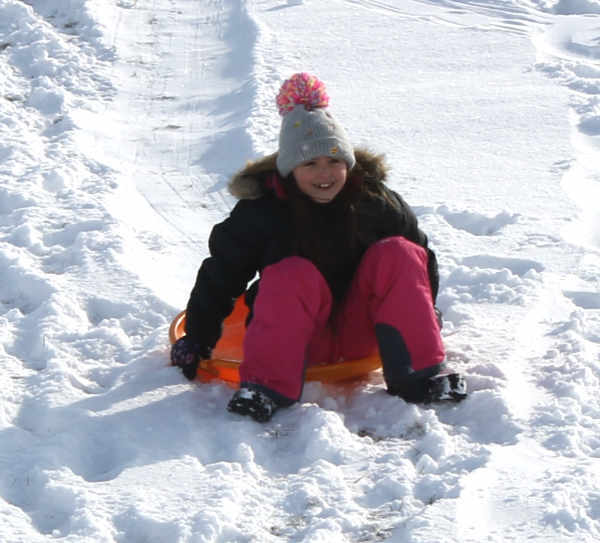 DELPHOS — A missed day at school means a sledding day at the reservoir. 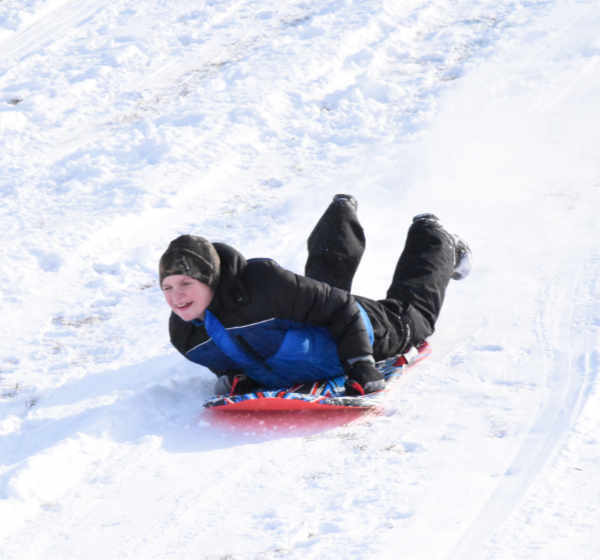 Many students took advantage of a Friday's snow day to hit the slopes at the reservoir.